End of the world for Saga? Home/Cruise News/End of the world for Saga? 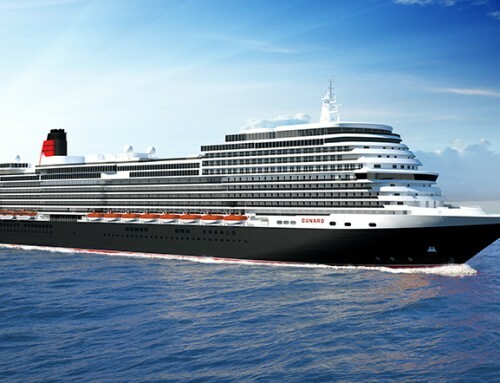 The voyage in question – or “ultimate journey” in Saga speak – will leave Southampton on January 7, 2013, and will return on April 27 after travelling 33,467 nautical miles. It’s a true circumnavigation, sailing west to South America and rounding Cape Horn before proceeding across the Pacific to New Zealand and Australia. After the Indian Ocean, Ruby will sail up the west coast of Africa to make her way home. A total of 36 ports will be visited over the course of 109 nights. But last ever world cruise? First I’ve heard of that, and I can find no mention in the brochure other than those four words on the cover. Is Saga Ruby – built on Tyneside and launched in 1973 as Vistafjord – heading for retirement? 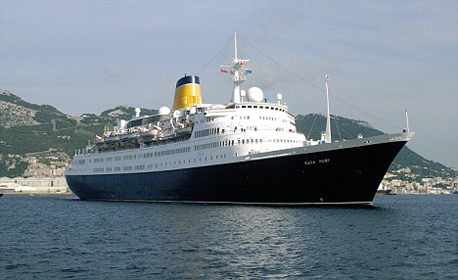 Or will world cruise duties be taken over by her slightly larger younger sister, Saga Sapphire? A quick call to the Saga PR office brought a surprising response. It seems the company is pulling out of world cruises. 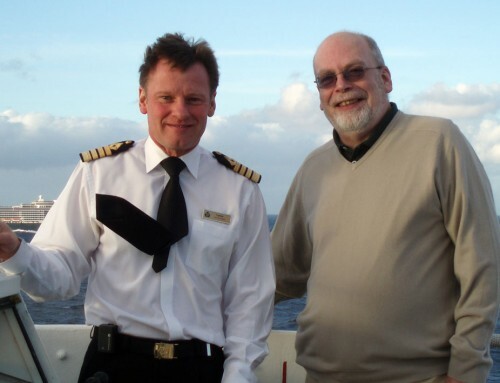 “We will no longer be offering a world cruise with Saga, and as Saga Ruby has always operated this for us, we are letting people know that 2013 will be her last world cruise,” explained Paul Green, head of communication. So it really is the end of an era. Come 2014, UK passengers looking to take three months travelling the world in comfort will have to choose from Fred Olsen, P&O or Cunard. If you want to do it with Saga in 2013 you might have to move quickly. Twelve grades of cabin are already sold out. Remaining fares range from £43,799 per person for a Bridge Deck suite (two sharing) to £17,869 for a two-bed inside cabin. Single inside cabins from £23,829. Various short sectors are also available, from 22 nights upwards.